Many people may not have heard of Phil Packer, but he is a man with a mission. After sustaining a spinal cord injury a few years ago, Phil has continued to inspire millions of people, especially young people, face adversity. “I was injured and paralysed in 2008 and since then have turned my life towards supporting Young People,” says Phil. "My vision is the British Inspiration Trust, and I am calling on Inspirational Figures from every sector of society to join me as BRIT Mentors and share their gift of inspiration to Young People facing Adversity. 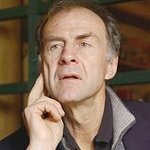 He already has the support of adventurer Sir Ranulph Fiennes, who said: “Phil’s British Inspiration Trust is visionary; it will unite charities, provide opportunities for any corporation to assist and will bring together our nation’s inspirational figures from every sector of society to enthuse young people who face adversity. I know Phil needs Inspirational Figures to step forward as BRIT Mentors and give 24 hrs of their year at the Centre; the more that volunteer, the more impact we will have to enthuse the next generation. I stand by Phil; I urge others to join the BRIT family”. 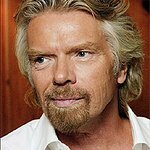 Another supporter is Sir Richard Branson: ‘BRIT is visionary and innovative. I am proud to be a supporter of BRIT. BRIT is an organisation that not only brings charities together, but encourages young people who face the most unbelievable challenges – everyday! BRIT is qualified and inspiring because it is the brain child of the most inspirational individual – it’s founder; Phil Packer MBE – a person I deeply admire. It is inspiring that a man such as Phil, after all he’s been through, wants only to talk to young men and women like him who face adversity daily. I am deeply honoured that Phil has asked me to be a Mentor to BRIT. I’m sure the young people I meet will teach me more than I could ever wish to teach them. I am proud to be part of this extraordinary vision and delighted the Virgin Group are supporting BRIT from the beginning." Phil’s website tells his story: "As he began to cope with the situation he found himself in, to regain self-confidence, self-esteem, self-belief and feel to empowered to make choices in life, Phil decided to embark upon numerous physical challenges to raise funds for charity, raise positive awareness and enthuse others. His decisions pulled him through the dark times and he started to overcome the adversity faced with physical limitations and this improved his mental well-being. “His three main challenges in 2009 were completed within six months. He rowed the Channel with Al Humphreys on 14th February, just after a year of being injured and he walked the London Marathon over 14 days on crutches with support from his great friend, Martyn Bird. Phil captivated the nation throughout his two-week ordeal. He then flew out to the USA and hauled himself up El Capitan with a support team of some of the country’s best climbers including Andy Kirkpatrick; he completed over 4,250 pull-ups and slept on the side of the Mountain for 3 days before reaching the summit. Phil raised in excess of £1.3million for charity in 2009. His efforts inspired millions and gained national recognition including the Athlete of the Year Badge from the Scout Association, Fundraiser of the Year at the Pride of Britain Awards and the Helen Rollason Award at the BBC Sports Personality of the Year. The Armed Forces also recognised his efforts prior to his retirement in March 2010 and he was awarded the MBE in The Queen’s Birthday Honours List. “In 2010, Phil stepped up to the mark again and in addition to supporting the wounded, he turned his attention and main focus to supporting Young People who face Adversity. To continue his physical challenges and to inspire Young People, he climbed the 3 Peaks in 72 hours for Sport Relief with BBC Presenter, Kate Silverton. He was supported again by Al Humphreys, Andy Kirkpatrick and Martyn Bird and was joined on Mount Snowdon by Sir Steve Redgrave and Sir Clive Woodward. This became the feature for the BBC Inside Sport Documentary “A Major Mountain to Climb” that followed his Journey. He then completed his biggest challenge; the opportunity to bring charities together and raise awareness of numerous disabilities, deprivation and medical conditions. On the 25th/26th April 2010, Phil smashed his 14 day London Marathon time and completed the Virgin London Marathon in 26 hours for 26 charities, walking each mile with a Young Person from each of the charities. The greater awareness of the various charity’s work and the inspiration Phil gave to the Young People and the public was immense and immeasurable. " To find out more about Phil and the British Inspiration Trust, click here.